Surprise of surprises, Monday was sunny. Admittedly the wind was still chill but it seemed quite a while since we’d experienced anything approaching this appealing a day. Carol dropped the roof on our Mazda and was intent on whizzing off for a spot of sport-shopping with her mother and sister. 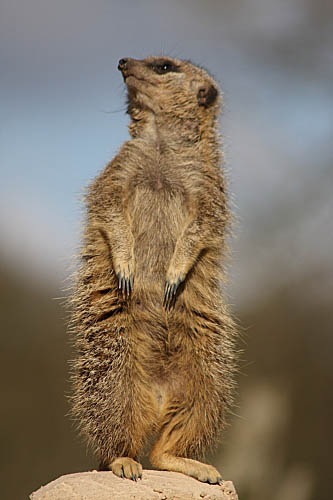 I preferred to drop in on our animal friends at Whipsnade Zoo to see what they were up to in the late winter. We’d been threatening to take my mother along for a break and, not having had much decent weather of late, this seemed an ideal time. Either bravely or foolhardily, I phoned ahead and requested a wheelchair for mater. This is a great free service at Whipsnade requiring just a £25 returnable deposit to discourage absconding with said wheelchair. Clearly, this was going to be a Mothering Monday. It’s very difficult to tell in advance which, if any, of the Whipsnade Zoo inmates are going to be entertaining on any particular day. It seems to vary depending on various factors: mood, weather, feeding time. Usually, though, someone steps up to the mark. 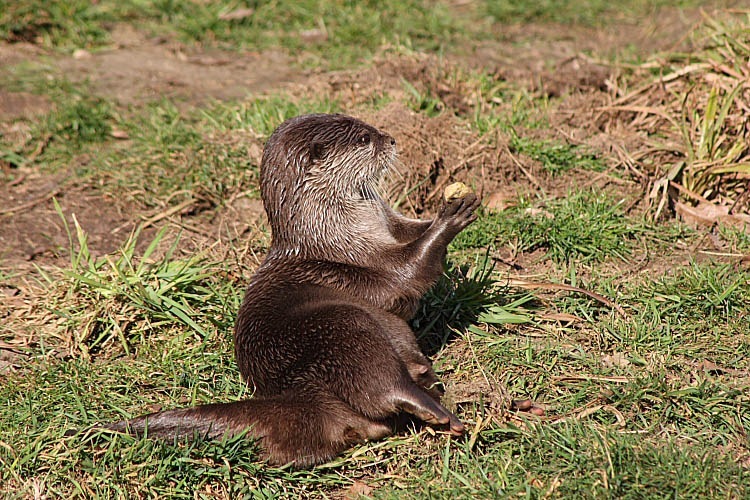 On Monday afternoon, Whipsnade’s five or six-strong group of short-clawed otters were particularly playful, frantically rushing and swimming around their enclosure entertaining onlookers. One appeared to be attempting to play catch with a small stone. 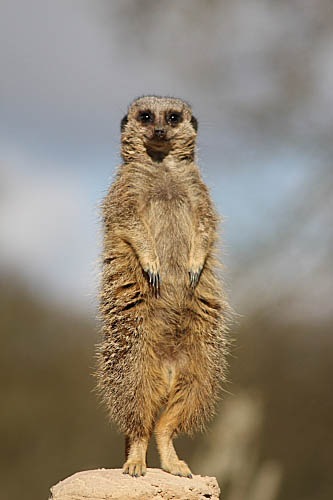 There is one set of inmates that have yet to let me down on the entertainment front and, as I wheeled my mum up to Whipsnade’s relatively new meerkat population, their consistency continued. 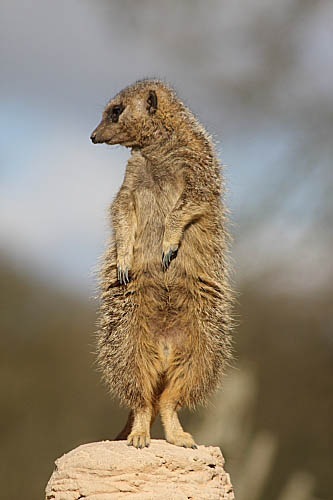 It’s the meerkats’ habit of posting guard on handy high points that makes them most endearing. 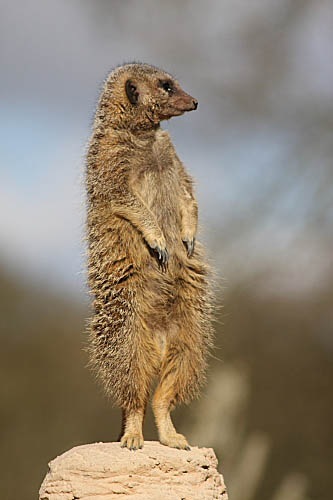 In the case of Whipsnade, the high point is a splendid fake termite mound which fits the lookout’s needs perfectly. 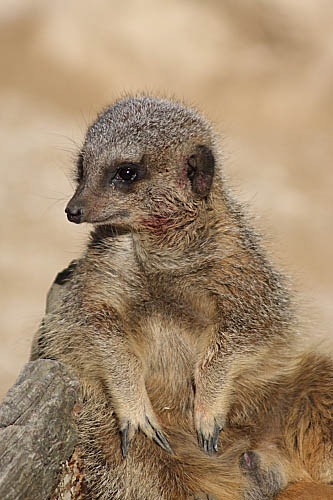 There did seem to be a little unrest amongst the population, though, and one poor meerkat seemed to be suffering with a sore-looking patch on its neck. Poor Aleksandr! 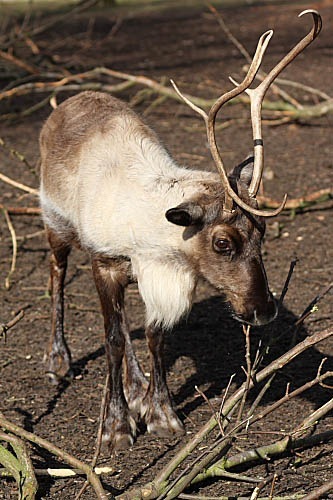 We lucked out by arriving at the reindeer while they were munching their way through some very unappetizing branches; unappetizing to us, anyway, though clearly the reindeer seemed to think they were edible. 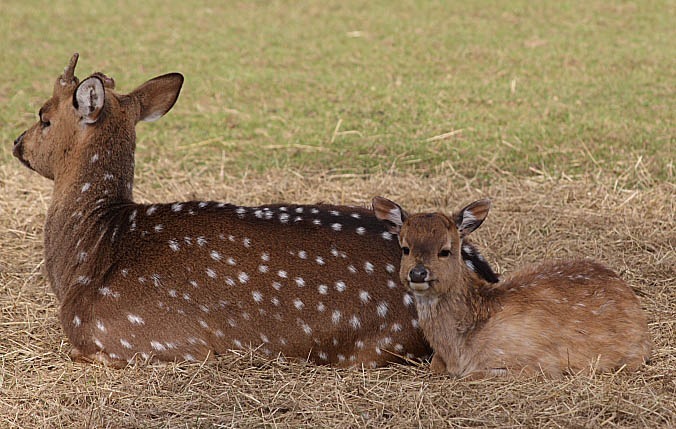 Finally, having completed my wheelchair push-athon around Whipsnade and having redeemed my deposit for the return of said wheelchair, we drove around the Asian paddock where the various deer herds were being unusually cooperative. 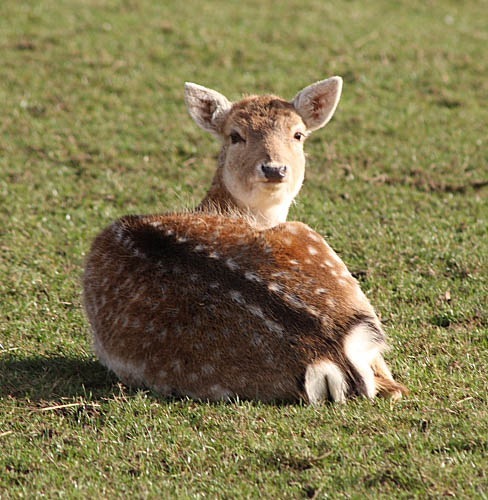 One fawn was looking decidedly cute. It’s a long walk around Whipsnade and, together with a camera rucksack, pushing a wheelchair all the way around proved to be good exercise. Given the state of some of the tracks, I think I need to set about designing a 4×4 wheelchair.